Cisco integrates ‘Security Everywhere’ throughout the extended network and through cloud-delivered services. Cisco has revealed new offerings to embed security throughout the extended network - from the data centre out to endpoints, branch offices, and the cloud - with pervasive threat visibility and control in mind. 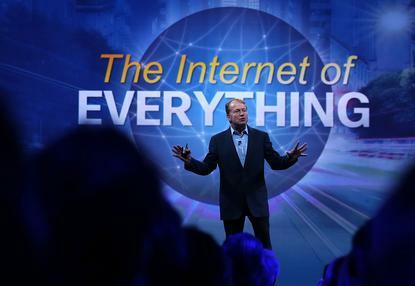 By integrating security everywhere, the tech giant claims enterprises and service providers gain the ability to deliver the “threat-centric security requirements” demanded by today’s dynamic threat landscape and capture emerging business opportunities created by the rise of the Digital Economy and the Internet of Things, referred to as the Internet of Everything (IoE) by Cisco. According to analysts, the IoE market is expected to generate US$19 trillion in value to organisations over the next decade, and represents a US$1.7 trillion opportunity to service providers. Additionally, according to the 2015 Cisco Visual Networking IndexTM (VNI) Forecast, the number of IP- connected personal devices and M2M connections online will grow from 14 billion in 2014 to more than 24 billion by 2019. However, cybercrime is simultaneously becoming increasingly sophisticated and industrialised such that the financial opportunity for cybercriminals also is rising and valued at an estimated US$450 billion to US$1 trillion. “To protect against today’s threats and increase agility for organisations to seize new growth opportunities and implement new technologies, security must be pervasively embedded across the entire network infrastructure,” says David Goeckeler, Senior Vice President and General Manager, Security Business Group, Cisco. “By integrating ‘Security Everywhere’ throughout the extended network and through cloud-delivered services, Cisco is protecting a wider array of attack vectors. To minimise the complexity of managing security across a distributed organisation and to increase threat visibility into the farthest reaches of the enterprise and global service provider infrastructures, Cisco is embedding security throughout the extended network. Consequently, Goeckeler says the tech giant is adding more sensors to increase visibility; more control points to strengthen enforcement; and pervasive, advanced threat protection to reduce time-to-detection and time-to-response, limiting the impact of attacks.